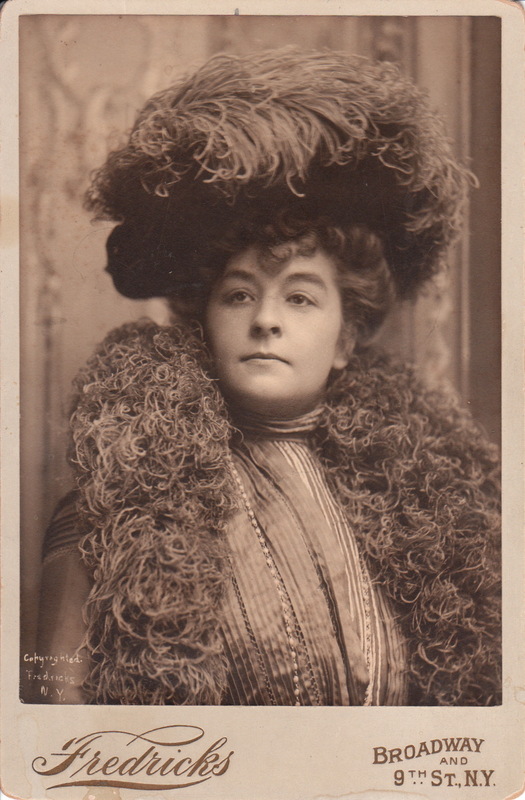 The beautiful woman pictured in this Cabinet card is stage actress, Florence Collingbourne. Obtaining significant biographical information about her has been difficult and further research will be done and provided in an addition to this blog. However, information from readers about this stage beauty will be appreciated. 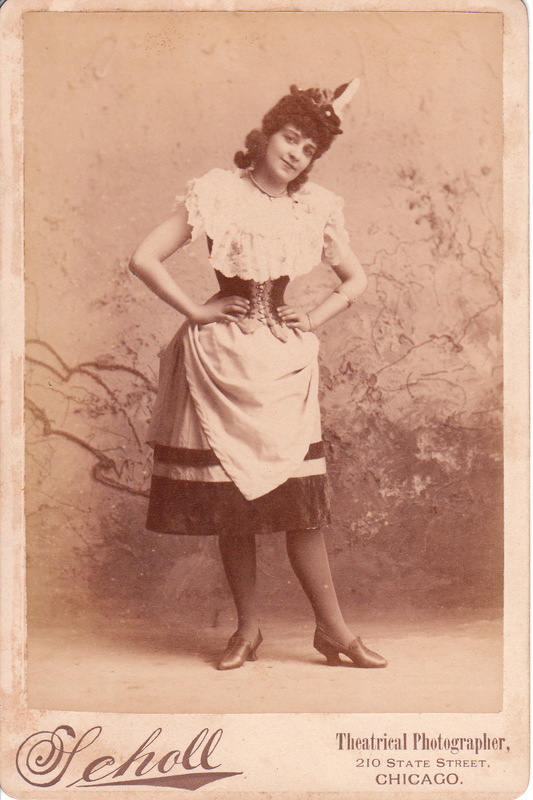 The Cabinet card was produced by the Rotary Photographic Company which also produced many postcards with images of theatrical stars. 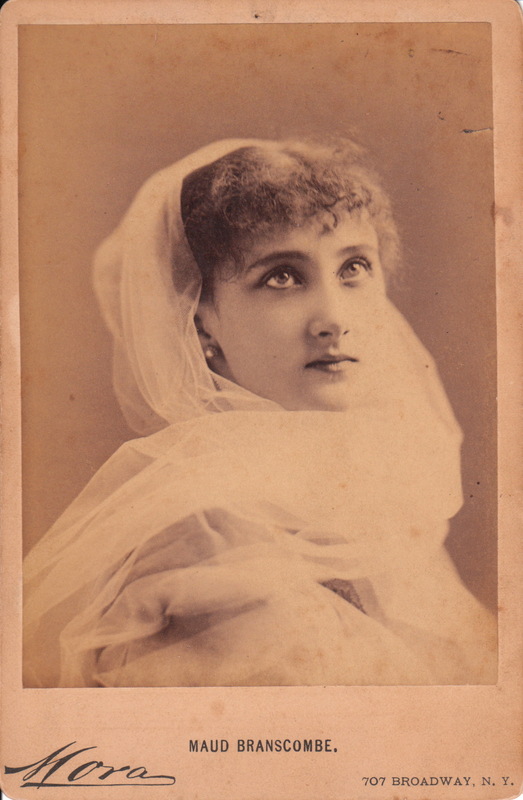 This Cabinet card was published in London, England. 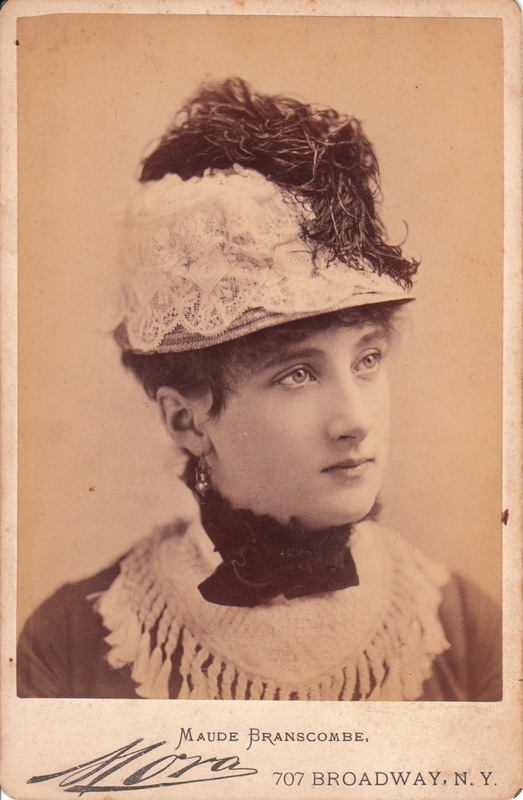 The second image displayed is a vintage real photo postcard also featuring the beautiful Miss Collingbourne (1880-?). 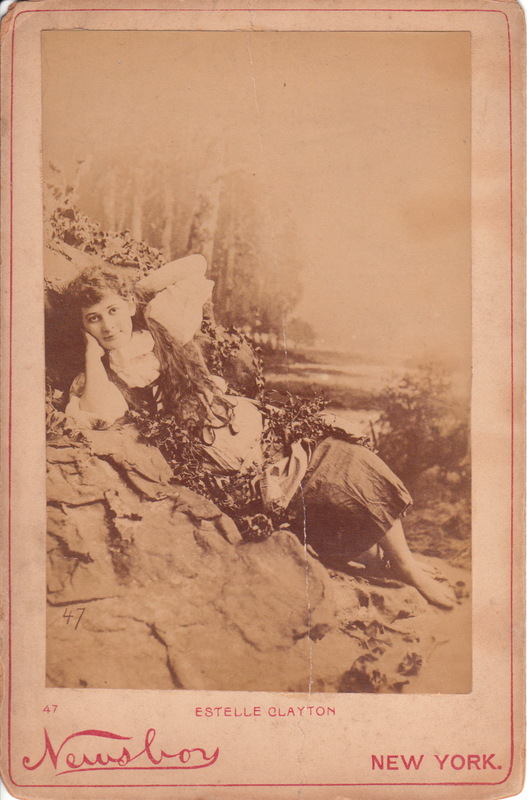 The postcard was published by the Rotary Photo Company. The reverse of the postcard has evidence that it once occupied a photo album. 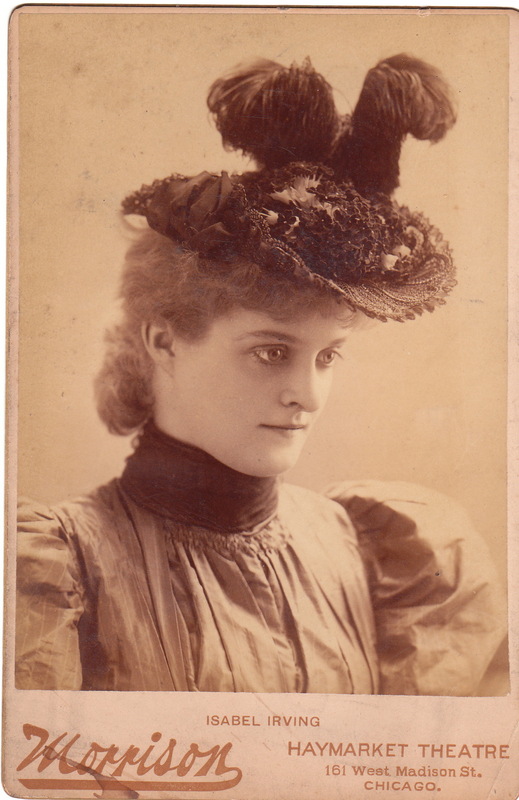 This cabinet card photograph features a well dressed and pretty woman displaying a beautiful smile. She also has beautiful eyes. The woman is photographed by J.Lowy who operated a studio in Vienna, Austria. A notation on the reverse of the cabinet card (see image below) indicates that the photograph was taken in 1904. 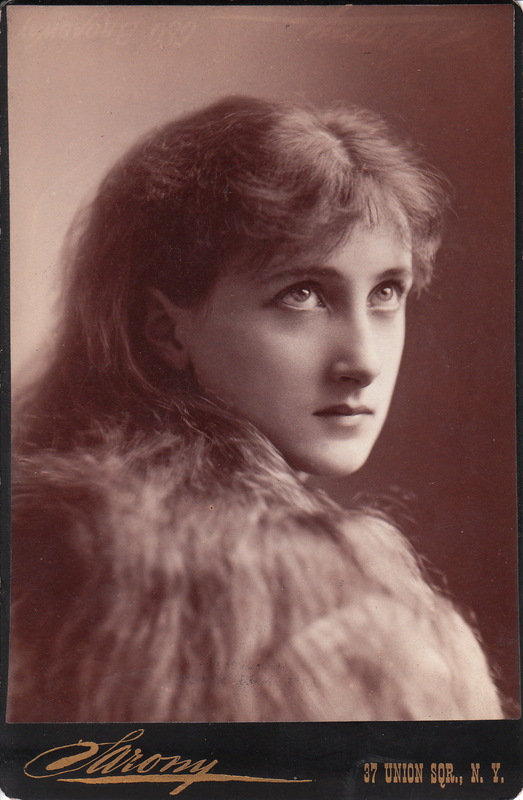 The former owner of this vintage image contends that the woman in the photograph was an actress. I can not confirm that she was a stage performer but it certainly would not be surprising. 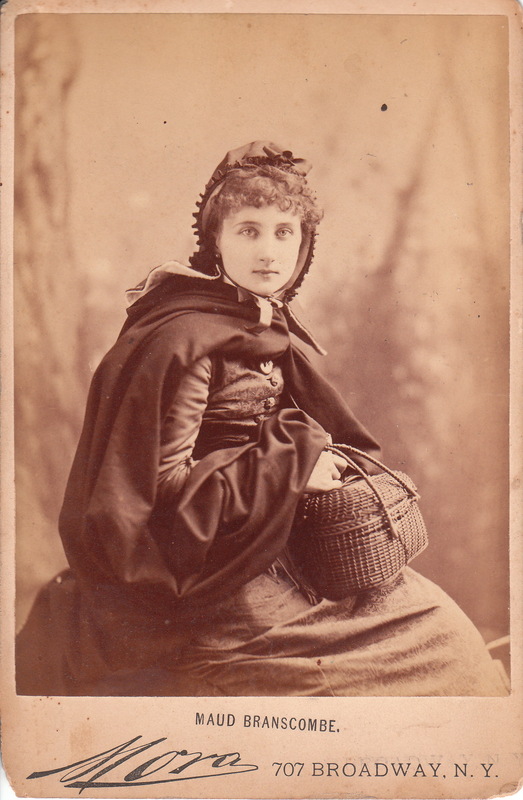 The photographer of this wonderful portrait was Josef Lowy (1834-1902). 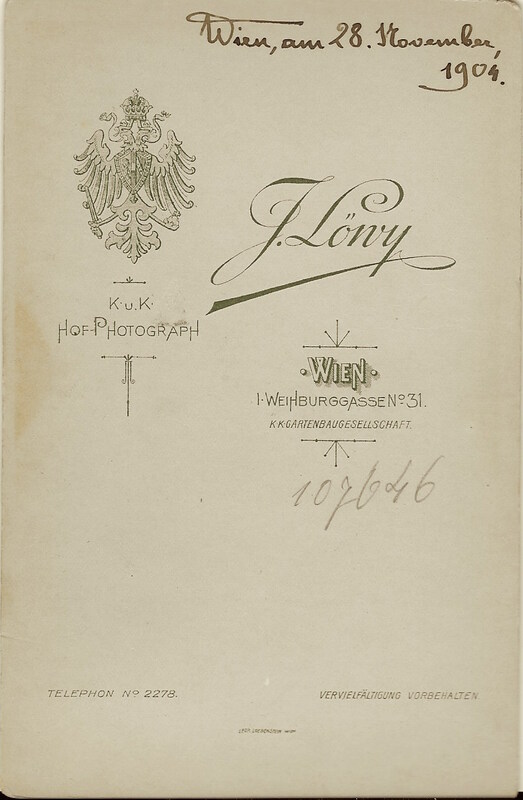 Lowy was a very prominent and talented Vienna photographer who was active in the city between the 1870’s and early 1900’s. A book of Lowy’s photographs (published in 1897) can be found on “Abe Books” at a price over three thousand dollars. Lowy was an Austrian. He was trained as a lithographer and received an artistic education at the Vienna Academy. He entered the field of photography in 1861 and was a regular exhibitor in photographic salons beginning in 1864. He won medals in the 1873 Vienna World Exhibition and became an official photographer to the Austrian Court. Lowy had varied interests in photography. He did royal portraits and also photographed industrial sites. 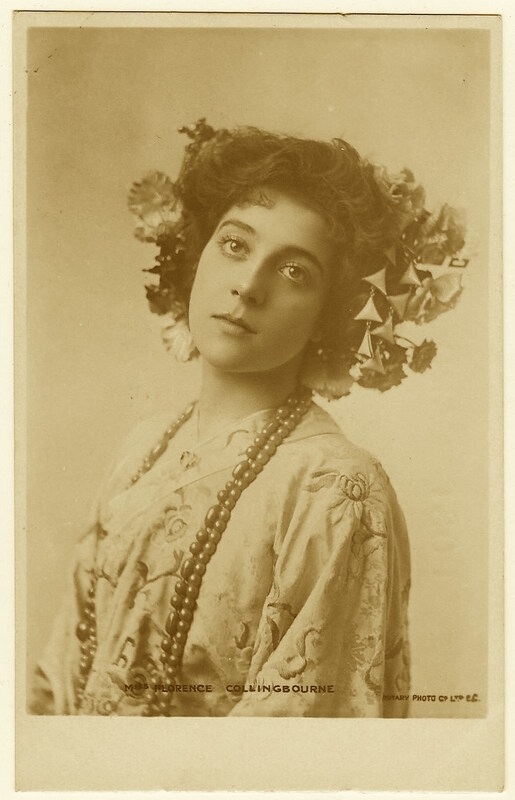 He photographed many theatre and opera stars. 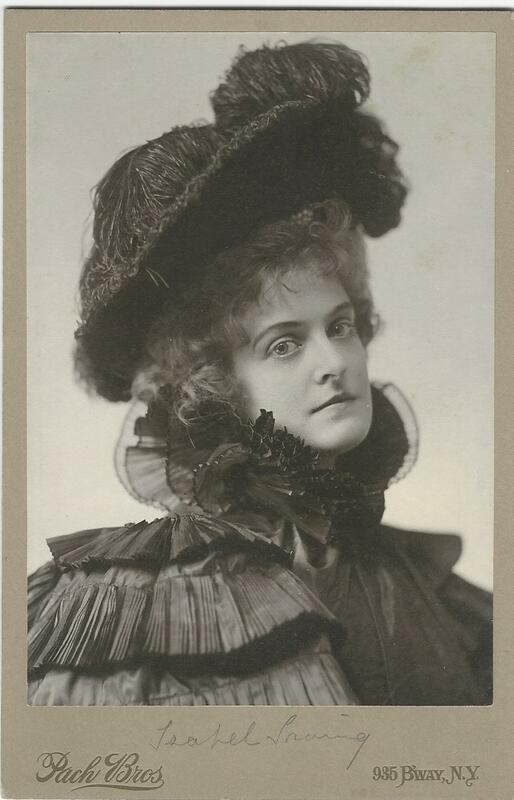 Upon Lowy’s death, his wife (Mathilde) took over operation of the studio until 1908. 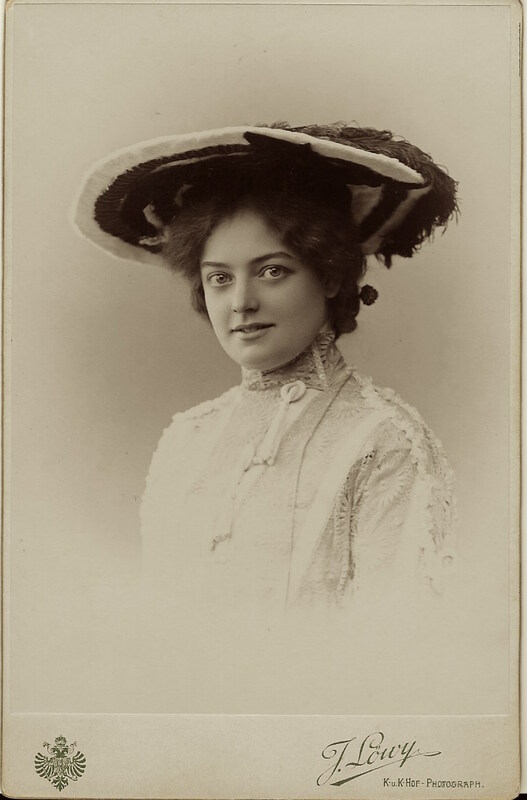 Mathilde Lowy (1854-1908) had married Josef in 1875. She was succeeded in business by Lowy’s nephew, Gustav Lowy who renamed the studio “Art Institute J. Lowy”. By now you may realize that I reported that Josef Lowy took this photograph in 1904 but died in 1902. This fact makes this particular photograph even more special. 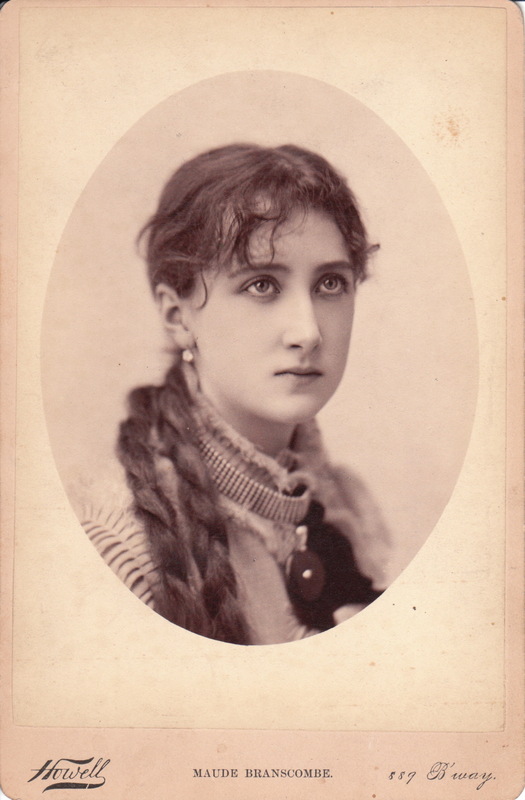 Actually, my hypotheses is that this cabinet card portrait was taken by a photographer employed by Lowy’s widow, or perhaps Mrs. Lowy herself. 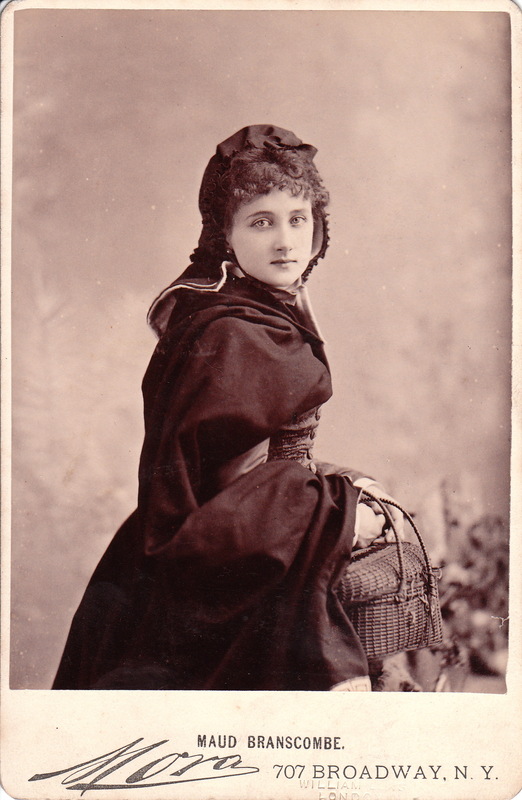 A pretty corseted actress poses for this cabinet card portrait by theatrical photographer, J. B. Scholl, in Chicago, Illinois. The wasp waisted actress is posed a bit provocatively by the photographer. She has her hands on her hips and her head is slightly tilted. She is also exhibiting a mischievous grin.The reverse of the image is inscribed and dated. 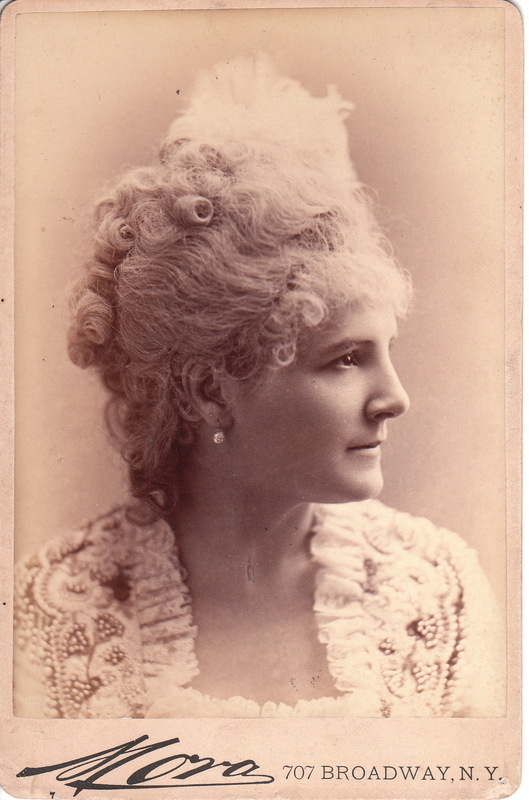 The cabinet card is signed “For ever yours, Hattie”. There is a possibility that her name is “Nattie” because the first letter of the name is not very legible. 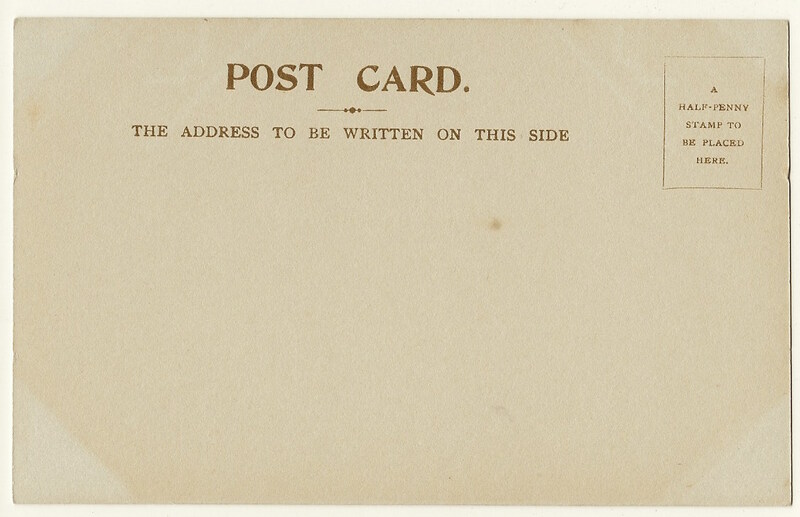 The back of the card is dated 1892. In addition to the State Street address, during his career, Scholl also had studios at two locations on South Halsted in Chicago. 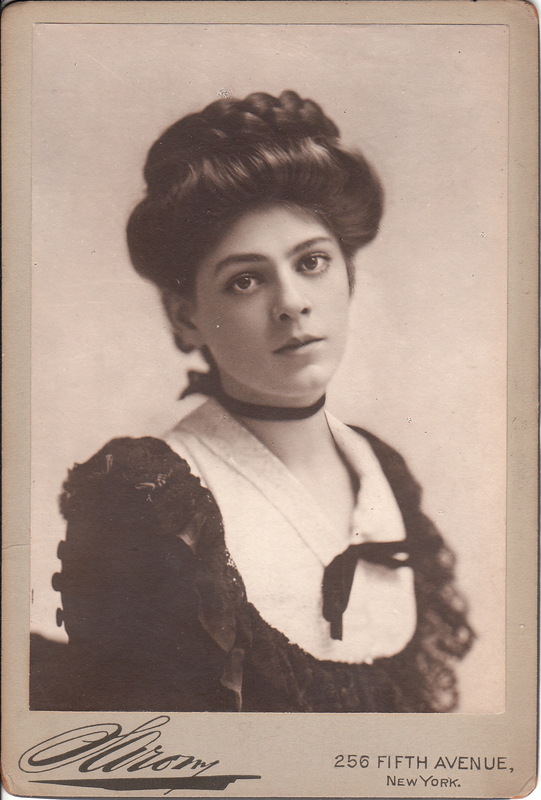 Perhaps a visitor to the cabinet card gallery can identify this actress. It is my opinion that this actress is Miss Hattie Harvey. The opinion is formulated by viewing other images of Miss Harvey and by her connection to Chicago. An article about Hattie Harvey appeared in the New York Times (1892). The article was entitled “Hattie Harvey’s Infatuation”. 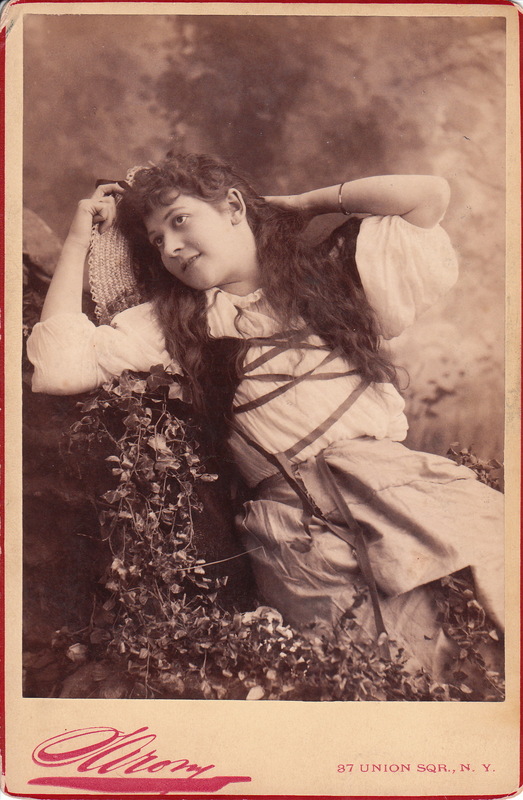 It seems the young Chicago actress had developed an infatuation for an Englishman in her company named Brooks (now we know why she has such a mischievous grin in this photograph). Her parents were not pleased and when the company’s production closed, her father promised to arrange more engagements for the company if his daughter would give up Mr Brooks. She refused his manipulative offer and there were some “exciting scenes” that occurred in the Grand Hotel concerning this family conflict. In addition, Hattie’s mother had two fainting spells “over the affair”. 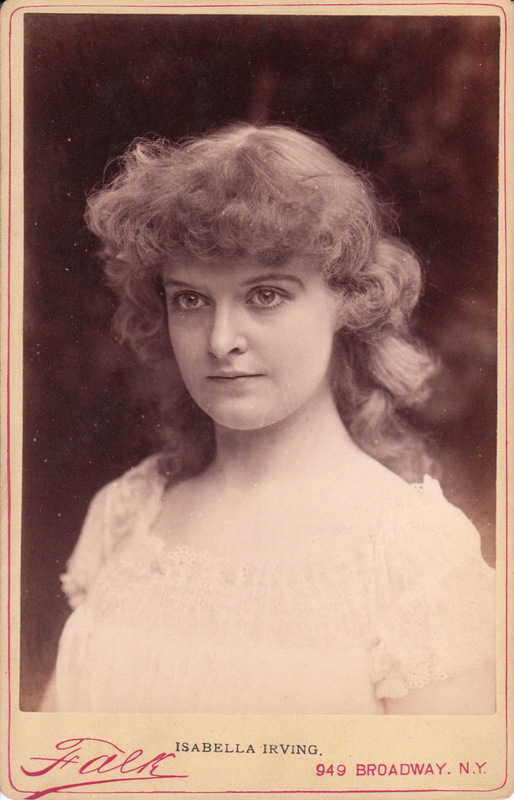 The newspaper article described Harvey as a “very pretty girl of nineteen” and reported that she declared she would marry the fifty year-old Brooks. However, public speculation was that Brooks, who was recently divorced, still had another wife back in England. Hattie Harvey’s parents threatened to “cast her off” if she continued the relationship with the”adventurer”. 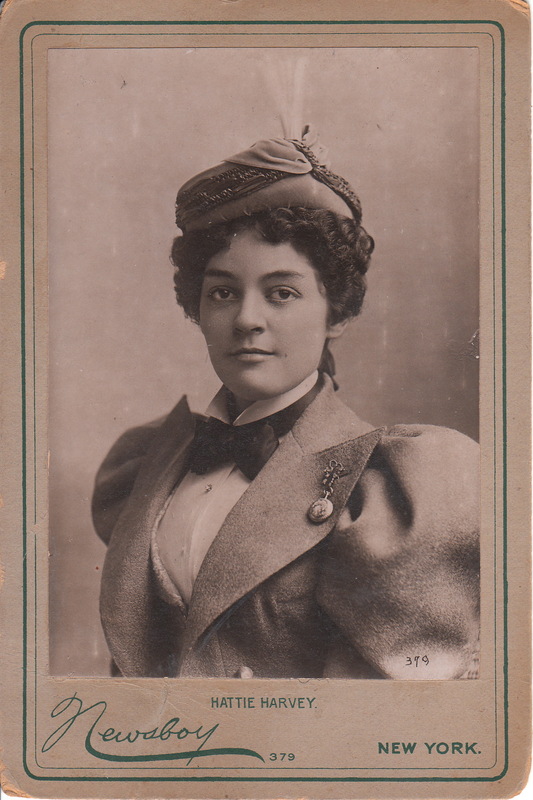 The second photograph produced by Newsboy (#379) as part of a series of tobacco premiums, is a portrait of “Miss Infatuation”, Hattie Harvey. Compare the photograph with the one above and decide whether the two women are one and the same. It is my view that the portraits both feature Miss Harvey. Please leave a comment if you have an opinion about this matter. In the second photograph, Miss Harvey appears to be in wardrobe for one of her stage appearances. She certainly was an attractive woman. Estelle Clayton (1867-1917) is seen in the first and second Cabinet cards. 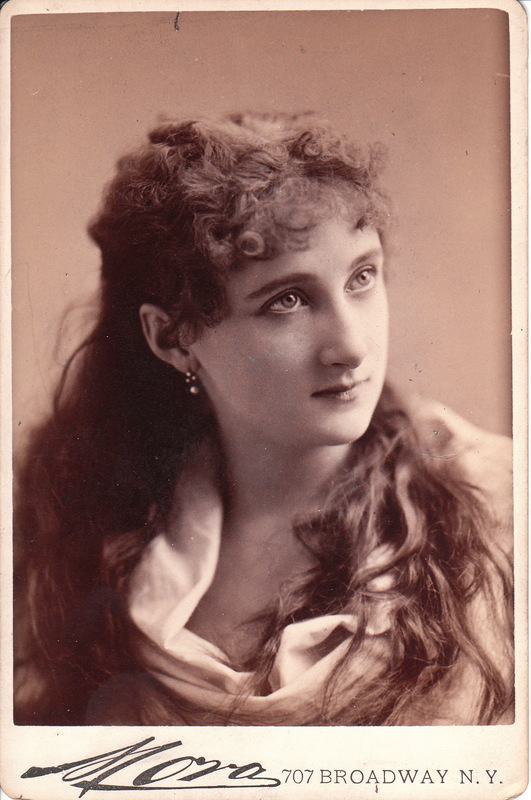 She was a prominent actress as well as a librettist in the late 1800’s. In one of her roles, she starred in “Fayette” with E H Sothern. Clayton was the sister of actress Isabelle Evesson. In 1908, the two sister actresses filed suit against New York City for allegedly diverting land away from earlier generations of their family. In 1917 she died in New York City of heart failure. The photographer of both of these Cabinet cards is Sarony of New York City. The third cabinet card portrait of Clayton was produced by Newsboy as a premium for tobacco products. It is number 47 of a series. The barefoot Miss Clayton is in quite the risque pose in this image.